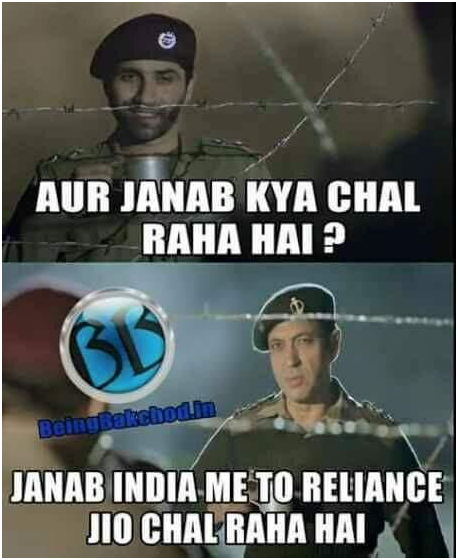 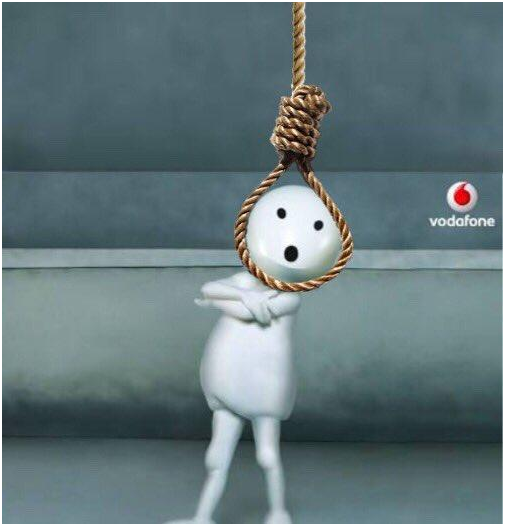 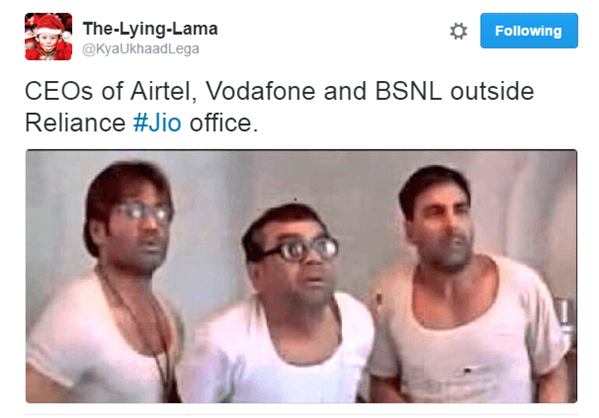 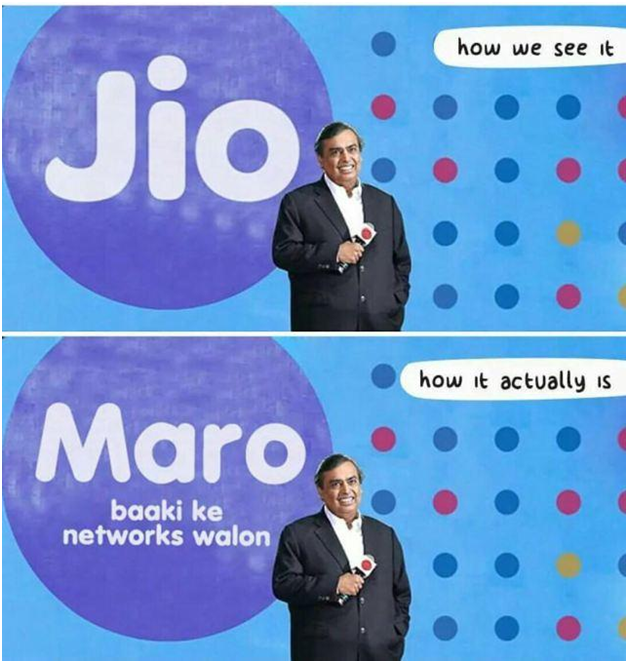 Check out the best trolls on Reliance Jio. 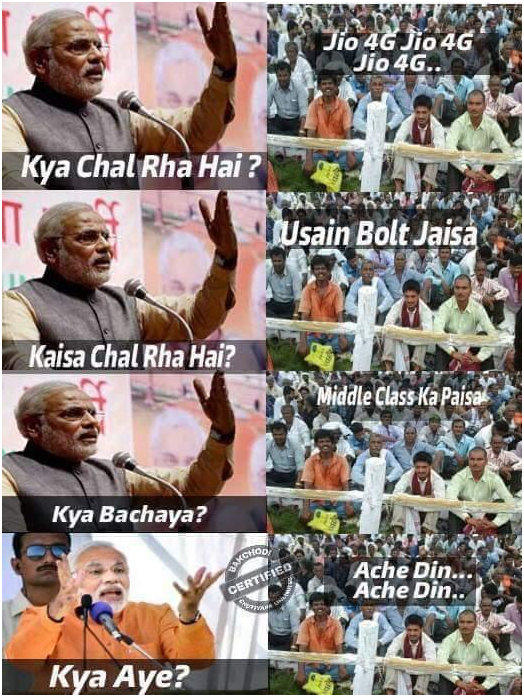 Warning : This may burst you out of laughter. 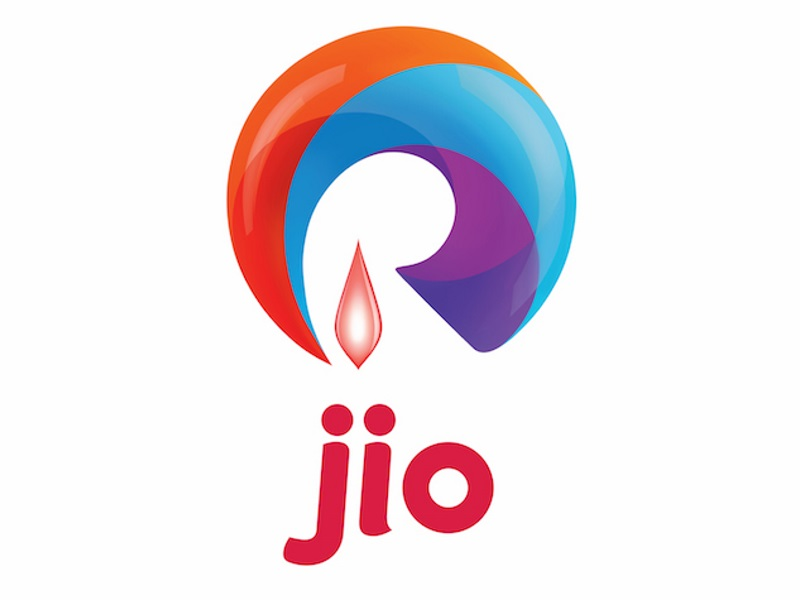 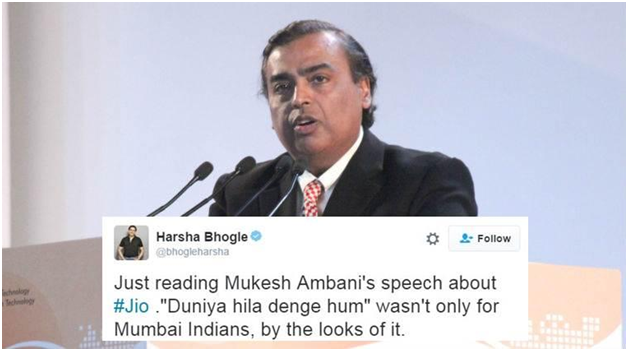 Reliance Industries Limited (RIL) chairman Mukesh Ambani announced Reliance Jio plans starting at Rs 19. 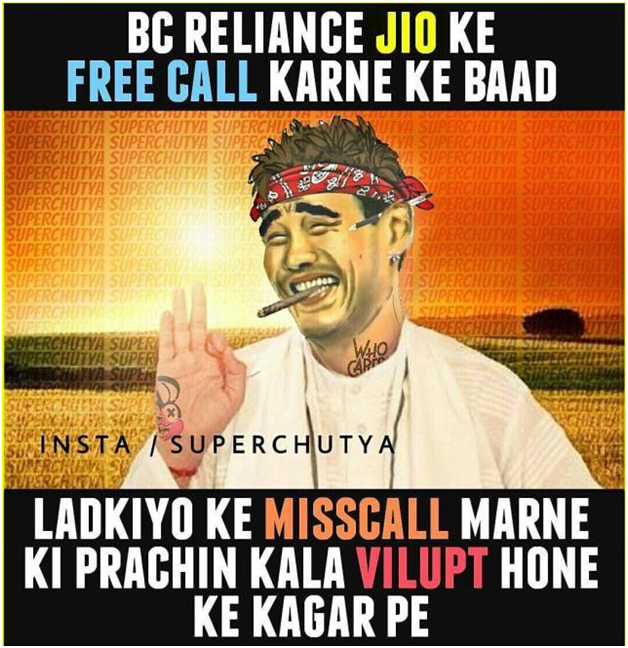 So anyone with a Reliance sim card now will be able to avail the services from September 5 that is today! 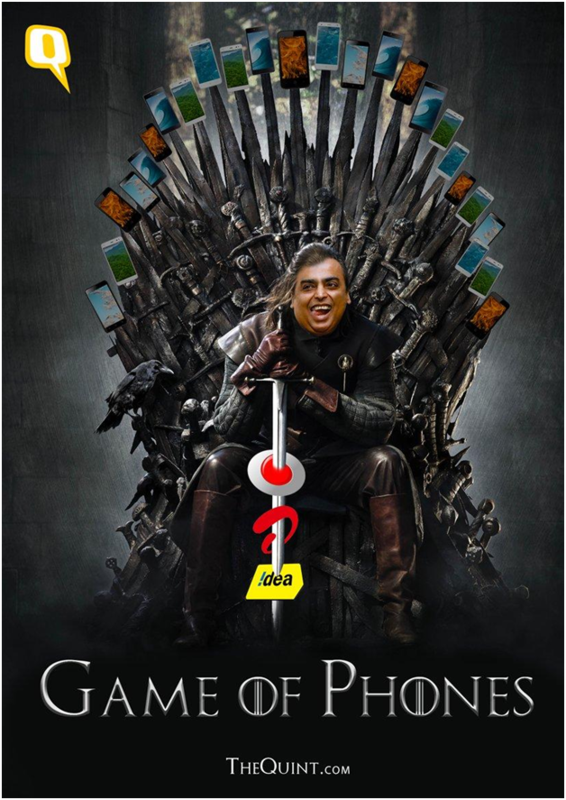 Mukesh Ambani has made the plans so cheap and exciting that it is actually shutting down customers of other companies like Vodafone, Airtel and Idea. 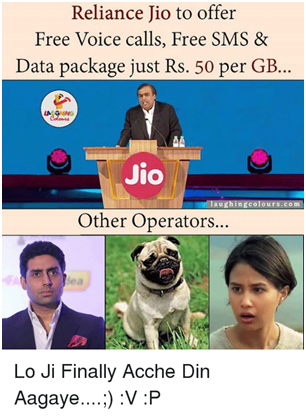 The cheap plans include free voice calls and free 4G internet for first 3 months so let’s have a look on what people are thinking now?